Two employees of Stratford’s Public Works Department are accused of selling oxycodone and cocaine, and police said some of the sales happened on town property and while the men were working. 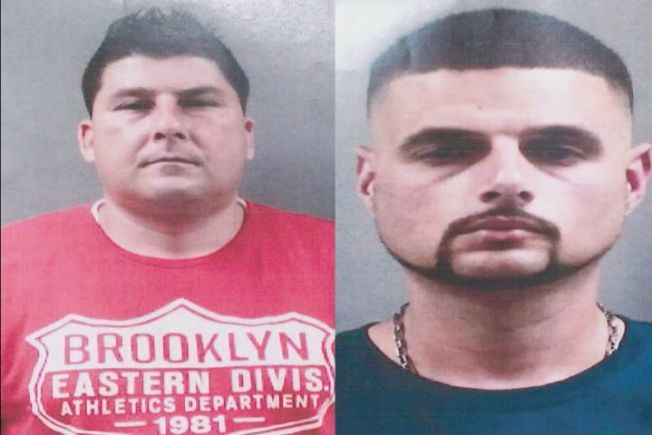 Patrick Ambrose, 38, of Stratford, and Todd Whitlock, 37, of Milford, have been arrested in connection with the alleged drug sales. Police said most of the transactions happened in June and July. Some took place while the men were working or on town property, including near a school, according to police. Ambrose was charged with five counts of illegal narcotics activity and four counts of sales within 1,500 feet of a school. Whitlock was charged with four counts of illegal narcotics sales and one count of illegally supplying prescription drugs. Both men could be subject to internal disciplinary action, according to police. Harkins said the town has a policy of regular, random drug testing of public employees and offers an addiction assistance program to anyone seeking help. "I am deeply saddened and quite frankly outraged that this has occurred," Harkins said Thursday. Police are continuing to investigate and said more arrests are possible.